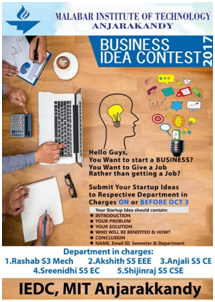 The Innovation and Entrepreneurship Development Centre (IEDC) is an initiative of Kerala Startup Mission under Startup Bootcamp Scheme of Government of Kerala. 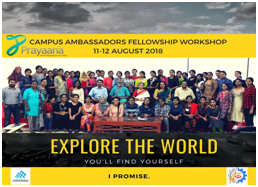 Under this scheme financial assistance is given to selected colleges for supporting innovative products and thereby build an entrepreneurial eco-system inside the campus. 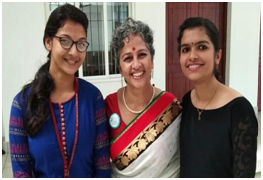 The mission of the IEDCs is to "develop institutional mechanism to create entrepreneurial culture in academic institutions to foster growth of innovation and entrepreneurship amongst the faculty and students ". 1. To act as an institutional mechanism for providing various services including information on all aspects of enterprise building S&T entrepreneurs. 3.To inculcate a culture of innovation driven entrepreneurship through student projects. 4.To catalyze and promote development of S&T knowledge based enterprises and promote employment opportunities in the innovative areas. * Familiarizing different posts-Eg.Chief executive officers(CEO), Chief Financial Officer(CFO), Chief Operating Officer(COO) etc. Student coordinators were selected by the nodal officer (Asst.Prof Rijin I K, HOD CSE) and the other faculty co-ordinator (Asst. Prof. Nithin Balakrishnan, ME, Asst. Prof. Nivin V K,ECE)based on students interest in entrepreneurship activities. 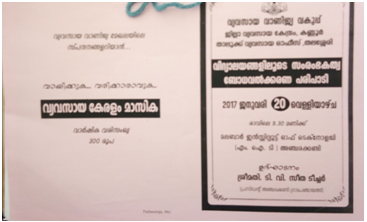 Innovation and Entrepreneurship Development Center (IEDC) was inaugurated by Mr. Sunil Paul (Muthoot Institute of Technology, Eranakulam) on 23rd April 2016. Followed by inauguration, there was a session on Entrepreneurship Development in Professional Students by Mr. Sunil Paul (Muthoot Institute of Technology, Eranakulam). A session on Entrepreneurship habit than career was taken by Mr.Anup Mohan (COO-Vilara at Voonik). 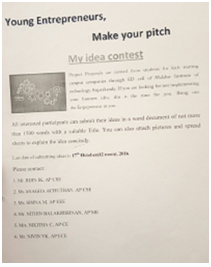 A college level project selecting competition Idea Contest was conducted on 17th October 2016.All registered students given opportunity to pitch their idea and best two ideas were selected. The selected projects were given an opportunity to pitch their idea at Startup Pitching Session Competition 16 held at Govt. College of engineering and technology, Kannur. 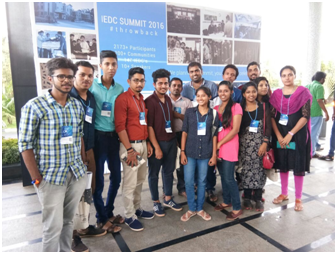 10 students and 2 staff including the nodal officer attend IEDC summit 2017 held at Adlux International, Angamaly, Cochin. 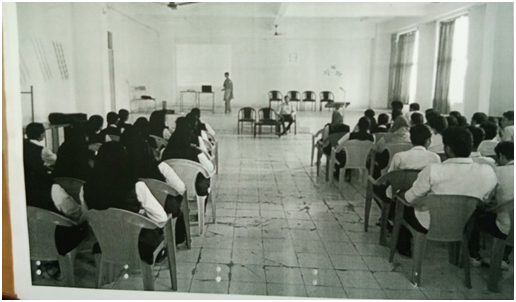 A college level project selecting competition Business Idea contest was conducted on -----.All the registeyellow students were given an opportunity to pitch their idea and best ideas were selected. Five students from S5 electronics participated in Yuva Mastermind organized by Malayala Manorama and IEDC, Amal Jyothi College of Engineering.They were awarded cash prize of 7500/-. The details of the selected team are as follows.